No, friend. That’s just the Rio. Let’s take a quick glance at the most popular and anticipated WSOP events happening this summer. The Tag Team tournament is back with a $1K buy-in. There is no $10K event this year. Many players love this tournament, and of course Upswing’s own Doug and Ryan took it down in 2016. The Giant is a No-Limit Hold’em event that will run a day 1 heat every Friday, and a Pot-Limit Omaha event that will run a day 1 heat every Sunday for the duration of the series. There are four total online tournaments taking place this year on WSOP.com. If you’re looking for a change of pace from sitting in the cold Rio every day, then these are worth checking out from the comfort of your own hotel. 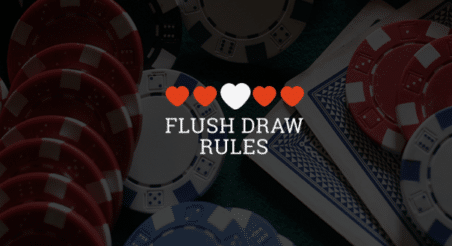 This tournament is designed for those who like large starting stacks and long levels. There will be complaints for slow play during this event! Last year the WSOP introduced the $1K Super Turbo Bounty for the first time, and it looks like it was a success. It’s back with the addition of a $10K event. Demand for bounty tournaments online has been rising, it’s no surprise the WSOP is adding this event to the schedule. These are must-attend events for those passionate about No-Limit Hold’em. They are a great value, and as the name suggests there is a cool million dollars guaranteed to the first place finisher. There’s not much to say here. The Main Event is simply the most anticipated tournament of the summer! For an event near the end of the series The Little One for One Drop is a great option. If you are a high roller then try out the $1M buy-in event (or check it out as a fan). Which WSOP event do you plan on playing? Let us know in the comments below! And whatever events you choose to play, we wish you the best of luck. See you at the WSOP! Pro Tip: pack a sweater even though it is the middle of summer in Nevada. For a complete WSOP schedule, see here.